Consistent Quality, Every Customer, Every Time. 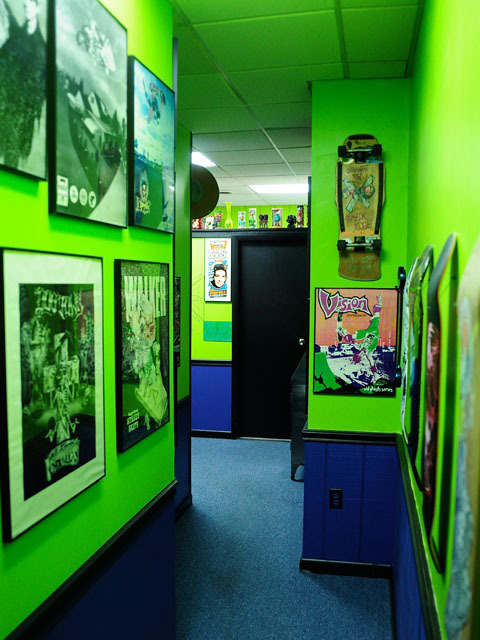 From the minute you walk into our studio you will see what sets Northside Tattoo apart from other shops. We strive to create a friendly environment while maintaining a professional atmosphere. 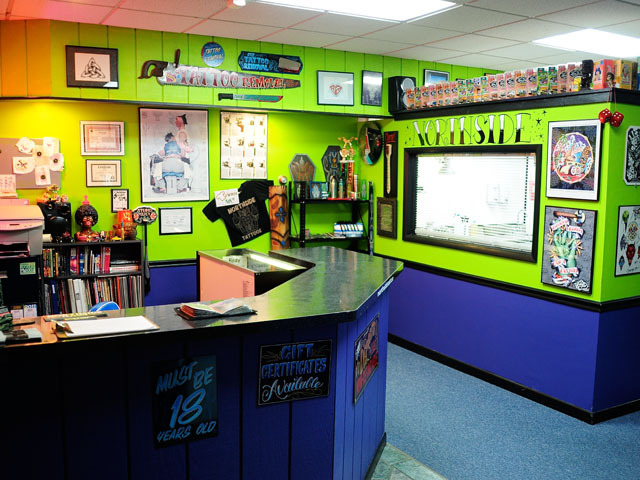 You will notice the cleanliness of the studio and the amount of flash (stock illustrations) and reference materials to help inspire you while choosing your tattoo design. 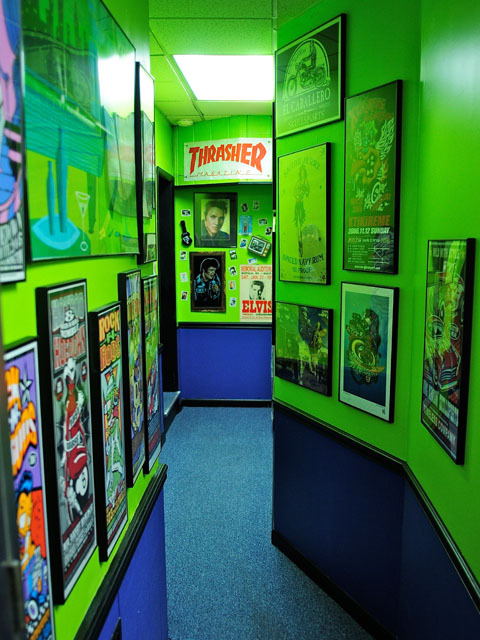 Take your time and look around, ask questions and consult with our artists and piercer. 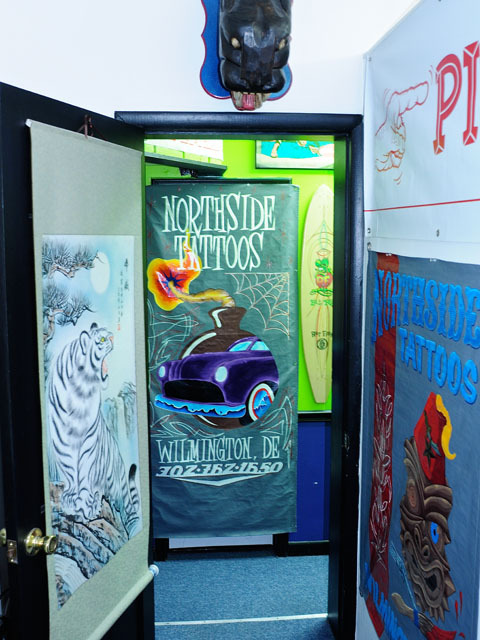 Northside Tattoo’s standards for reducing the risk of cross-contamination are higher than the Delaware Division of Public Health and OSHA regulations. The tattoo and piercing needles are NEVER re-used. Every instrument that comes in contact with the skin and is not disposable is ultrasonically cleaned with a medical enzyme detergent then properly autoclaved after each use. 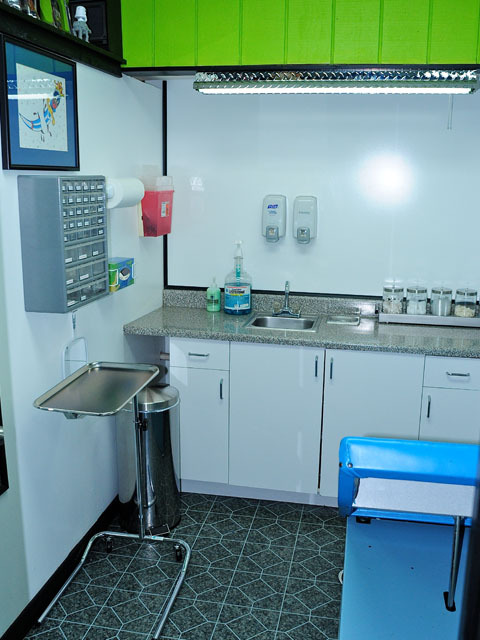 Each piece of jewelry used during a piercing procedure is also autoclaved to ensure sterilization. A spore test of our autoclave is performed monthly and is monitored by a third-party Sterilizer Monitoring Program, in compliance with state regulations. 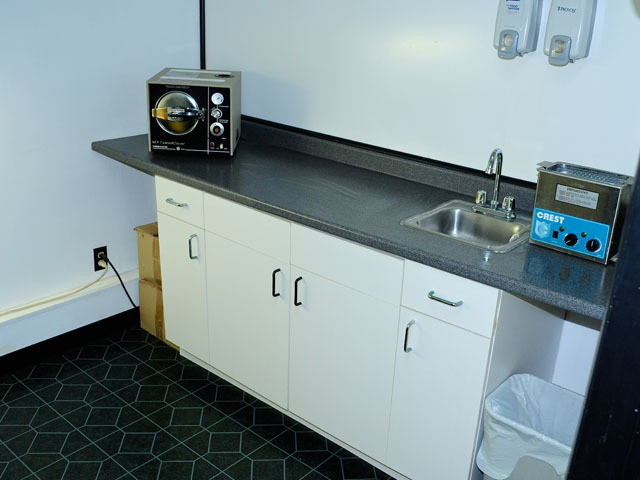 Our autoclave has never failed a spore test and is impeccably maintained. Our body jewelry is 316LVM implant grade surgical stainless steel and does not contain nickel. Our artists are chosen carefully. 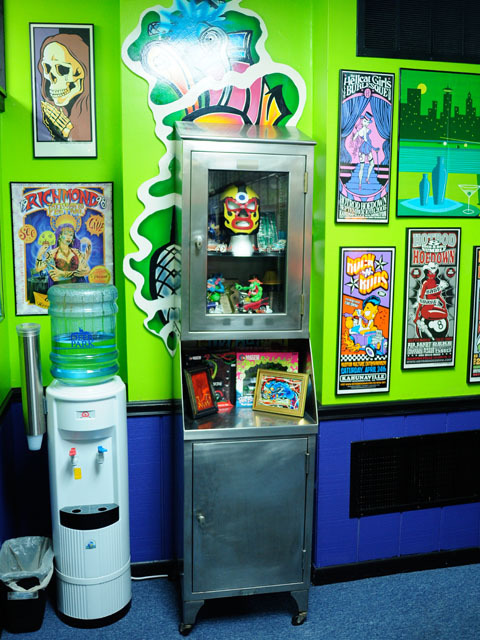 We only employ artists who we know will produce the kind of art that we are proud to say came out of Northside Tattoo. You are commissioning a piece of permanent art for your body, we understand the importance of choosing not only the perfect design to convey what you’re wanting to express, but also a competent artist to design your tattoo and make it look incredible. 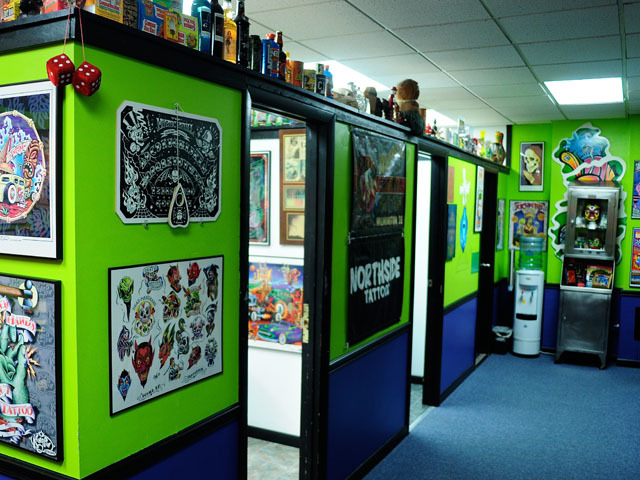 We carry the aftercare products that we recommend to help you properly heal your new tattoo. These products are available at a very minimal cost. 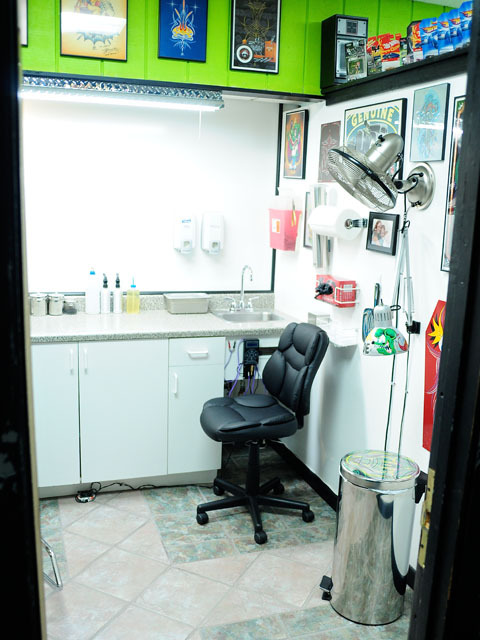 Our piercer is experienced in all body piercings from ear lobes to genital piercings to everything in between. You will receive explicit instructions on how to care for your new piercing. We carry a full line of body jewelry and all aftercare necessary to help you heal your piercing properly. 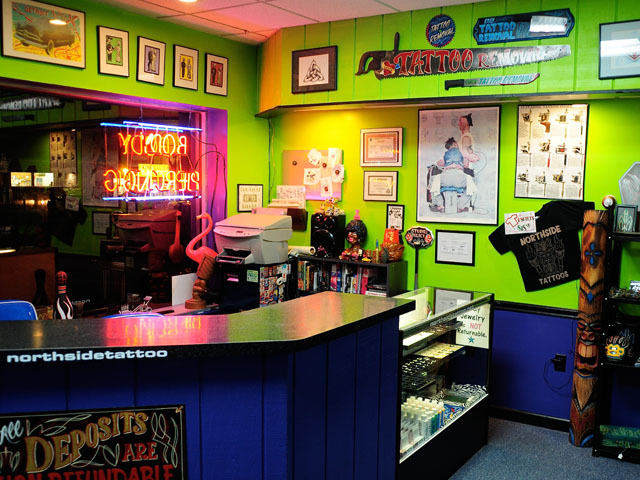 Our staff is always willing to help with any pre-or post-tattoo or piercing questions. Please call us rather than take your friend’s advice! 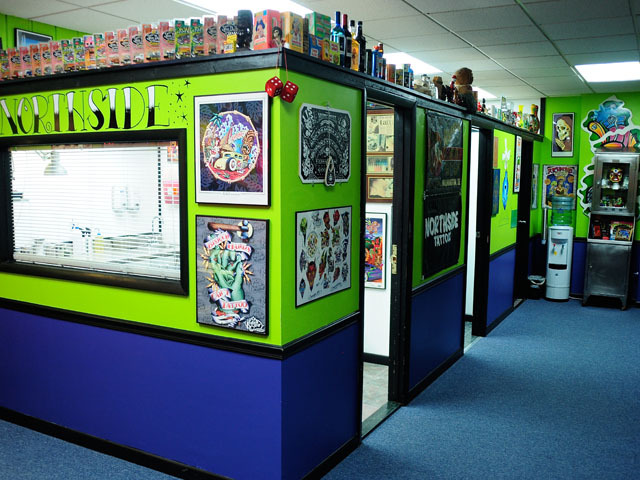 Check out our portfolios here on our website or stop in and ask to see the pictures of tattoos and piercings done here at Northside Tattoo. 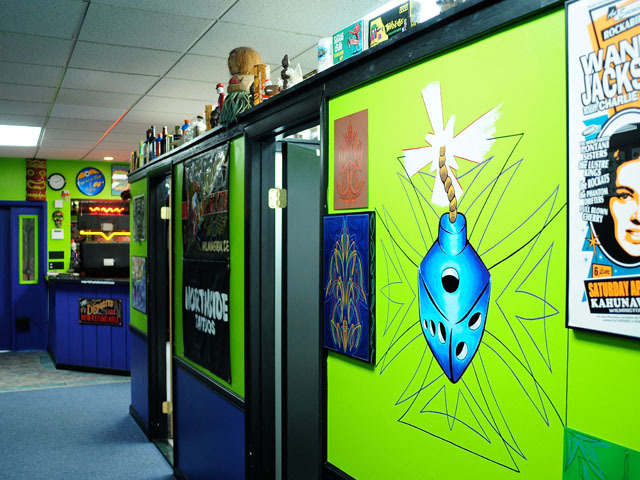 Northside Tattoo opened in 2004 and is owned by Matt Stankis. We have quickly developed a reputation for our consistent quality and professionalism. 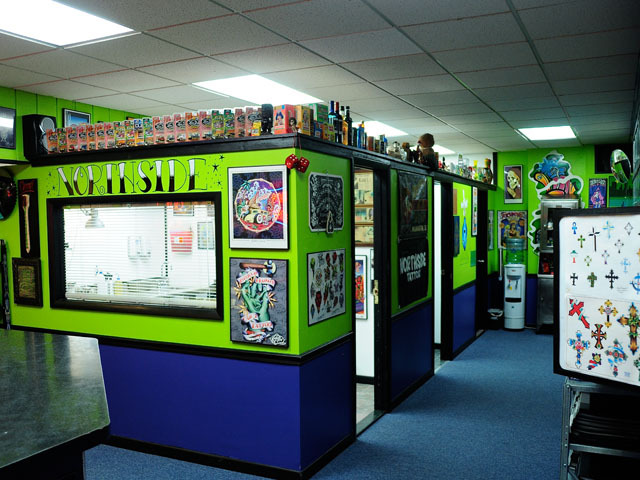 We work with our customers to ensure that their tattoo, whether custom or chosen from flash, is exactly what they want and this has earned us a loyal following.